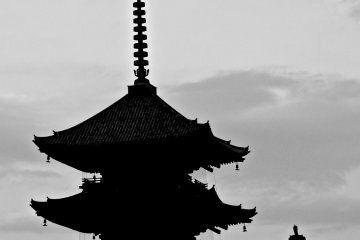 Not far south of Kyoto station, Toji temple was built when the city was known as Heiankyo, during the relocation of the capital there. 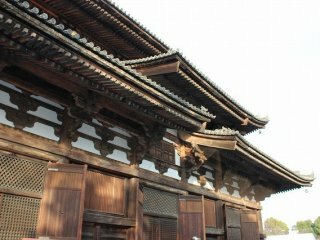 It was founded in approximately the year 796 by Kukai, a Japanese monk, civil servant, scholar, poet, and artist, founder of the Shingon, or "True Word" school of Buddhism, during the reign of Emperor Takemu. 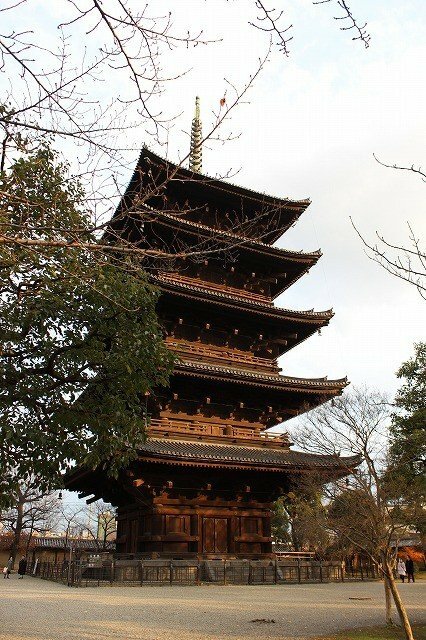 Toji Temple is the last remaining temple in Kyoto from this period, dating back nearly 1,200 years. 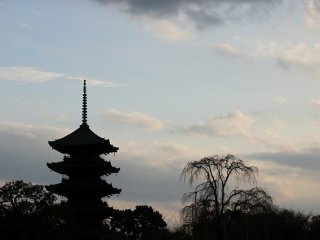 The silhouette is not only a landmark of Kyoto city, but is also a national symbol of Japan. 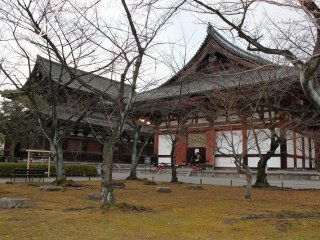 Posthumously known as Kobo Daishi, Kukai is honoured by a statue in Kodo Hall. While photography is strictly prohibited within the walls of Kodo Hall, and we therefore cannot show you this statue, it is a marvelous sight to behold. 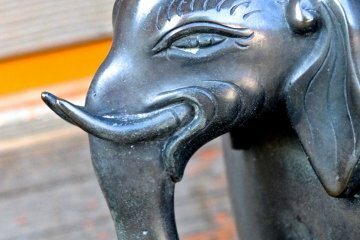 I encourage you to take your time and slowly take in this statue during your visit. 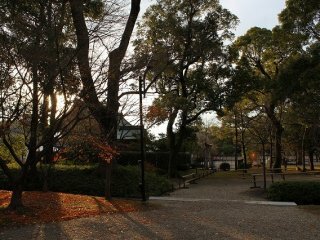 In addition, the temple grounds are very large and it is home to a beautiful garden. 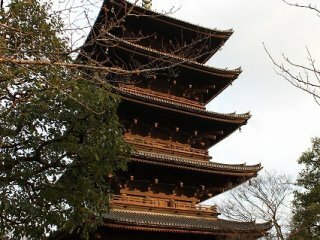 You can walk slowly through the main halls as well as around the five-story pagoda. 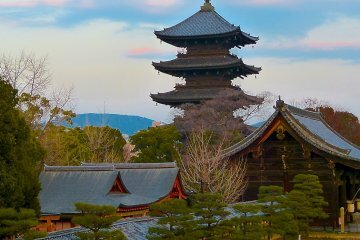 Toji Temple is a great place to add to your itinerary any time of year. 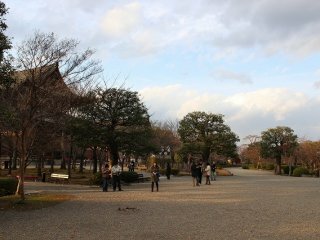 The temple is around five minutes' walk from Toji Station, or roughly 20 minutes from Kyoto Station. 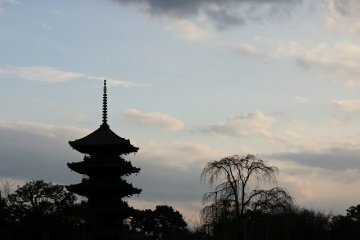 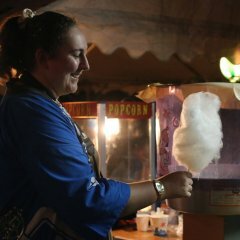 A semi-professional photographer and English teacher, Illaura is a long-term resident of Japan who photographs every day life and scenes in Japan to promote a better understanding of Japanese culture.